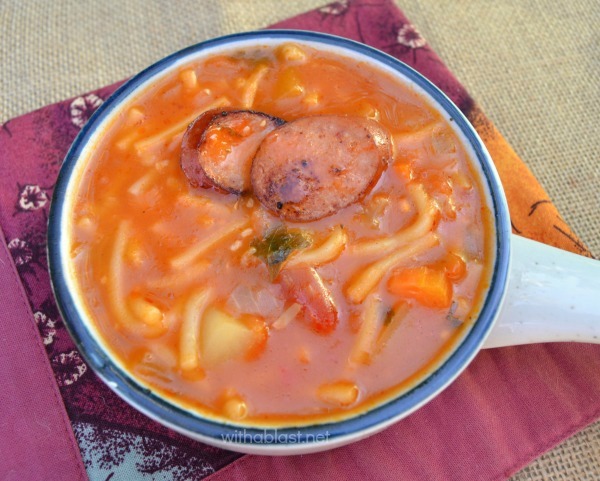 This Minestrone soup recipe is thick, rich and so delicious on a cold day. 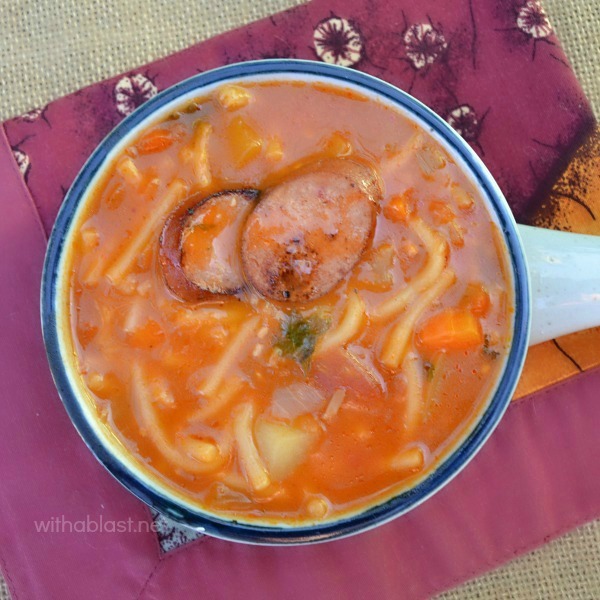 Soup is and will always be the number one comfort food, and I can never have enough recipes ! And tomato based soups are my family’s absolute favorite. I usually make Minestrone from whatever vegetables I have leftover in the refrigerator. The possibilities are really endless when it comes to ingredients. In most soups, really, but especially in a Minestrone ! However, I do have to single out this specific recipe as it caused quite the rave in our household. Everyone had seconds and even third helpings. Good thing I normally make double batches when it comes to soups and chowders. I would have used two or three fresh Tomatoes if I had any, but did not. Fortunately I always have a couple of tins of Tomatoes, different flavors, chopped, whole etc. 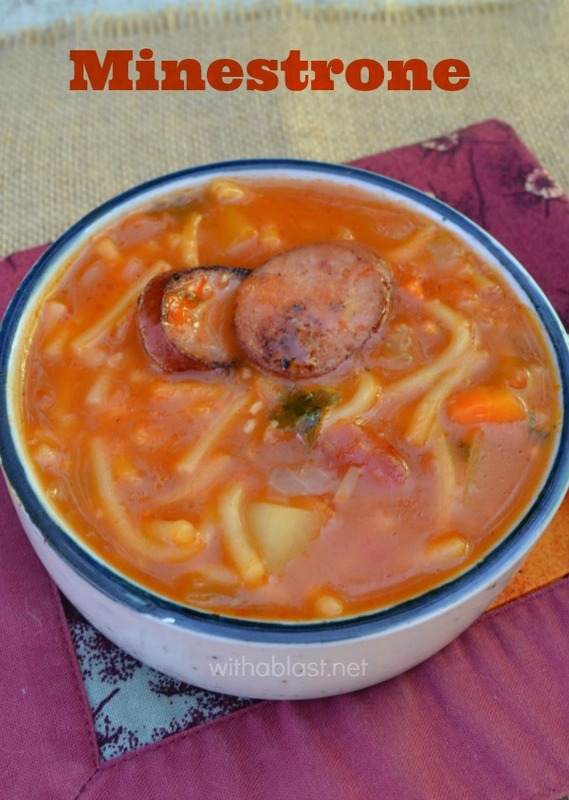 You can use whichever you choose, canned or fresh because a Minestrone just won’t be the same without Tomatoes, right ? 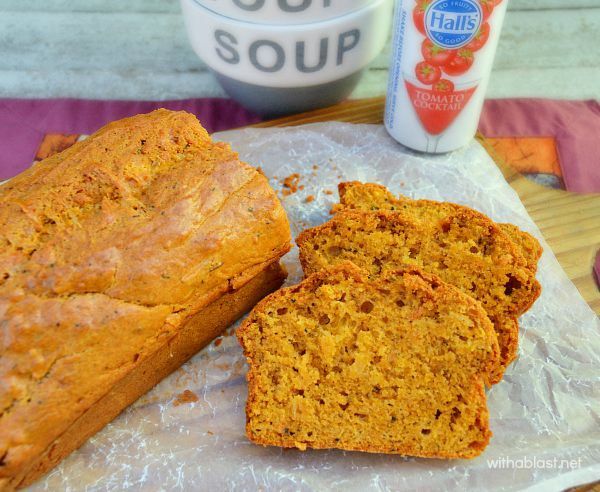 For a delicious quick bread recipe link, scroll a little down after the recipe ! Serve the Minestrone with crusty dinner rolls or freshly baked bread. Looking for a bread recipe to serve with the MINESTRONE ? This is exactly what we need after spending the day working on the Ranch! Love the addition of chili flakes! Comfort foodies at its best! Brian loves minestrone! It's such a comforting dish!